Superannuation isn’t something that most young people think about. It’s that little bit of money from our pay cheques that we can’t touch until we’re old. To those on casual rates, students, or those new to the workforce, accessing your super seems, and is, a long way away. But a new study by Deloitte suggests that an average superannuation of $1 million, based on a 30-year-olds average yearly salary of $60,000, won’t be enough to fund a comfortable retirement. The survey suggests that a man who possesses approximately $1.1 million in superannuation would only have a comfortable retirement until age 77, providing he retires at age 65. Furthermore, and this is where it concerns us, by the time we’re ready to retire, a million dollar superfund will see us back in those 2-minute noodle university days. If we want to retire comfortably, and by comfortable I mean, go on occasional holidays and eat at a restaurant, an average Gen Y male would need to possess $1.58 million by the time he’s ready to retire. In the same report it states that for a woman to retire and to achieve the same degree of comfort as their male counterpart, she would need to accumulate an extra $200,000, pushing her superannuation up to $1.76 million. That’s an extra 7.5% of her pay cheque going into her super fund each year. Yet Deloitte does not address the reason as to why a woman would need to accumulate more super than a male colleague. Comments have demonstrated that it’s because of the longer life expectancy – and not anything else. While Australia has the third-highest female life expectancy in the world, we, on average, live only five years longer than our male colleagues, with Australian males ranking fourth in the world for life expectancy. The lack of super is definitely not about the great gender pay gap, of which many people still deny its existence. But with 16% still lacking between men and women in some jobs, exactly where are we to scrounge the extra per 7.5% from our pay packets? What’s more is this statistic is based upon an unmarried, childless, single individual. So what happens to this statistic when a woman decides to take time off work to have a child? When deciding to leave the workforce or take on fewer responsibilities to raise a family, are we then sacrificing our chances at a self-funded happy retirement? It may seem so. Still, even when women decide to return to work, there is still the stigma of the “working mother” who misses musical recitals and uses childcare services. To those women cannot afford managing and contributing to a self-managed super fund, it will fall upon a percentage of government, employers and self-contribution to make sure the fund becomes fruitful. So when a woman decides to start a family and go on maternity leave? It’s her super fund that suffers. With the statistics not accounting for the number of married retired couples who combine their super, it offers a bleak, almost unattainable superannuation figure for the 21st century woman. While combining super with a partner so you can both enjoy a comfortable retirement may seem like the way to go, with cases of divorce always on the rise (there’s a new spike in 50-somethings divorcing called the “silver split”), there isn’t always the possibility you will retire with that special someone. Indeed, to the independent woman, superannuation is more relevant than ever. 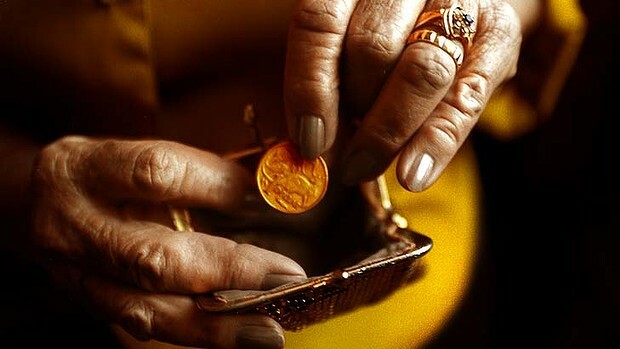 What are your thoughts on superannuation? Is there a stigma in the workplace for women who go back to worksoon after children? Have you ever been a victim of the gender pay-gap? This entry was posted in Featured and tagged career, gender pay gap, money, women. Bookmark the permalink.